A Brandon University (BU) researcher is tracking down stories from the Brandon First World War internment camp to use in a virtual reality project. After collecting as much information as he can, Dauphinais will work with colleagues and students at Brandon University and Assiniboine Community College to turn the research into a virtual reality smartphone experience. “The idea may be that you can go up and talk to some of the characters who were interned right here in Brandon, a century ago,” ACC media arts instructor Derek Ford said, describing the vision as a cross between virtual reality and choose-your-own-adventure. Although there’s relatively good information about the internment camp itself, what’s missing are the stories of the people who were detained inside it. The First World War saw internment camps open across the country, as the Government of Canada began isolating so-called “enemy aliens” — immigrants who’d come to Canada from countries that were fighting against the British Empire. Those countries included areas under the control of Germany and Austro-Hungarian Empire, like Ukraine and Poland. In Brandon, those foreign nationals were kept in barracks at the Wheat City Arena, a hulking open building that was stacked with beds and filled with men to house hundreds of internees. 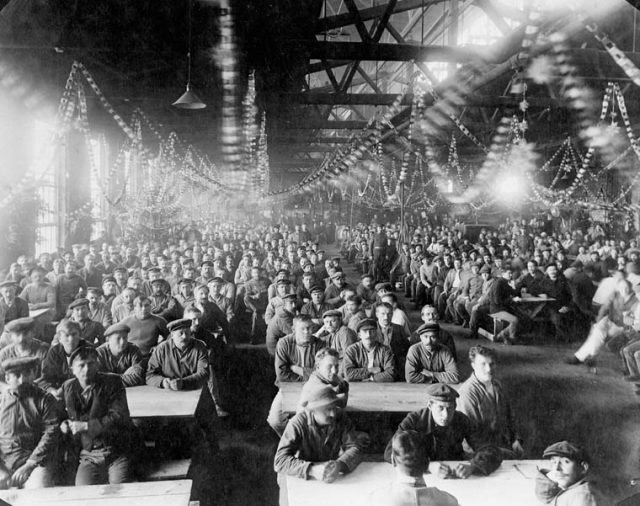 In Brandon, the camp was open from 1914–16. All records of the internment camps were destroyed in the 1950s, making it difficult to piece together the lived experience of the camp. Anyone with information, remembrances, or family histories of time spent in the Brandon internment camp during the First World War is asked to email Dauphinais at josephdauphinais@gmail.com with details. This project has been made possible by a grant from the Endowment Council of the Canadian First World War Internment Recognition Fund.